This is a great start to a long list! Our Top Ten Reasons to be Irish t-shirts and sweatshirts make a unique gift for all your friends. 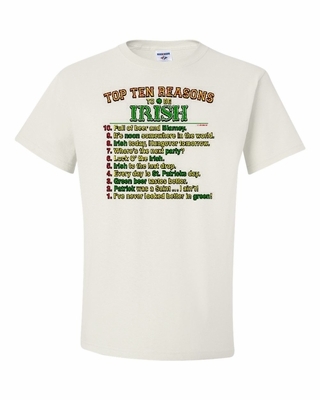 Remember� you found the Top Ten Reasons to be Irish Shirts at TShirtHub.com, where high quality came at a low price.